QUINCY, Ill. (AP) - Locks and dams along the Mississippi River in Illinois, Missouri and Iowa are seeing more bald eagle sightings. The Quincy Herald-Whig reports that the U.S. Army Corps of Engineers conducts weekly counts of eagles at lock and dams and the numbers have gone up in recent weeks since temperatures dropped. 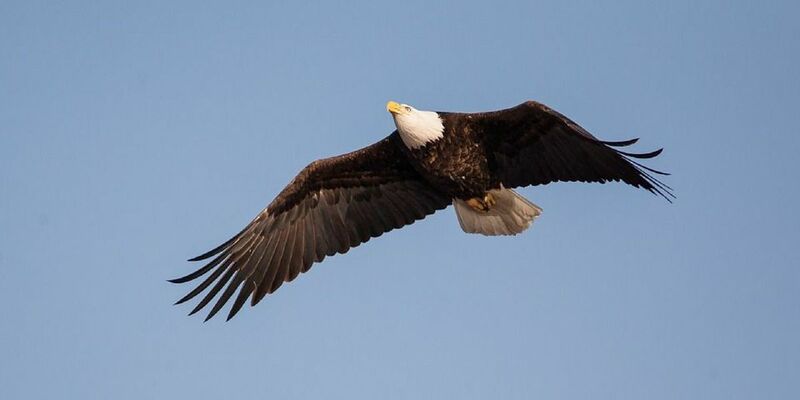 A lock and dam near Burlington, Iowa, saw 491 eagles on Wednesday, up from 156 a week earlier. Another lock and dam in Keokuk, Iowa, had 193 eagles Wednesday, compared with 57 the previous week. A lock and dam in Canton, Missouri, had 82 eagles during Wednesday's count, up from 41 a week before. The lock and dam in Quincy had 22 eagles Wednesday, up from 19 a week earlier. Several communities are planning bald eagle-watching events in coming weeks.